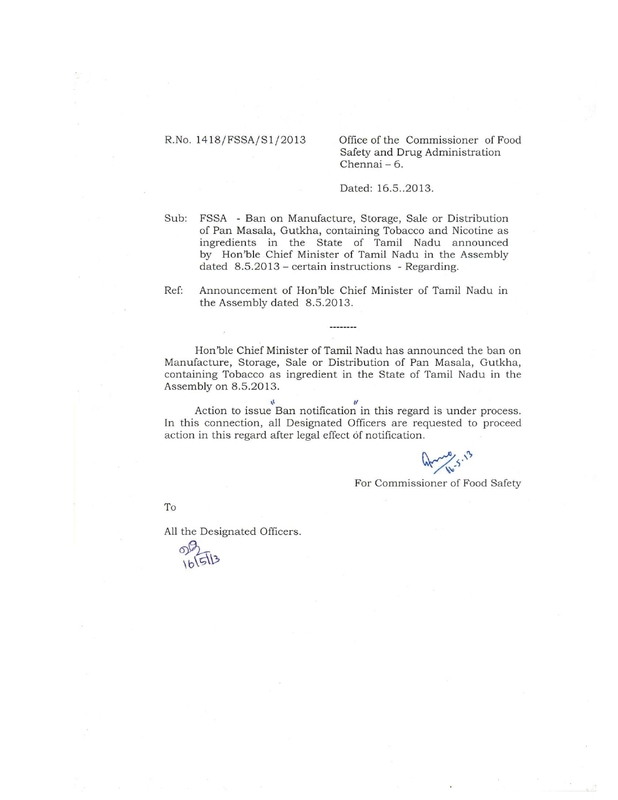 The Honourable Chief Minister of Tamilnadu on 08.05.2013 has announced in the State Assembly that the sale,distribution, manufacture of Panmasala and Gutkha containing tobacco as ingredient will be banned in Tamilnadu. Based on the announcement, the Tamilnadu, Commissioner of Food Safety and Drug Administration Department has given a circular to his subordinates for better legal implementation of the ban. It is a welcome measure taken to save thousands from oral cancer.